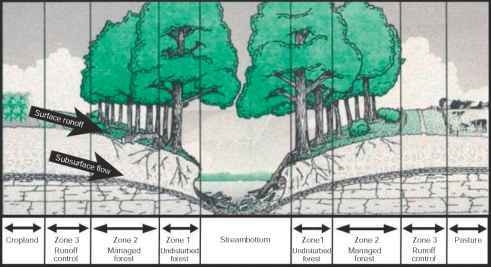 A basic approach within ecological engineering is to pre vent environmental effects or allow recovery from them. The most basic ecological engineering approaches are based on the capabilities of unmanipulated organisms to respond by enhancing the assimilation of the wastes pro duced by the aquaculture practices. Emerging technologies will allow balancing the relative abundance of organisms with different ecosystem functions to avoid disruption by the introduction of massive fed aquaculture species into coastal areas. Organisms living under or around the cages should enhance the bioremediation under or around fish cages. Rotation of farming sites should permit their recovery after some time. In many regions, this recovery period is rather long (several years), but in southern Australia it has been demonstrated that effects on the benthic environ ment under salmon cages are not as strong as in other regions. This seems to be related to the existence of a guild of native fishes that significantly reduce the sedi mentation of wastes. The use of ecological services provided by fish, invertebrates, and seaweeds could be an emergent ecological engineering approach; however, humans in the Western world have not yet introduced or constructed in large commercial scale such simplified imitations of natural systems to achieve these goals.